Jeff Lynne: Vocals, backing vocals, guitar, bass guitar, percussion, Oberheim DMX & synthheizers. Richard Tandy: Grand piano, electric piano, syntheizers, harmonica & Oberheim DSX. Dave Morgan: Additional background vocals. Mik Kaminski: Violin solo on Rock´n´roll is King. This album obtained (July 1983) a 4 place in the UK and only a 36 place in the United States. The single Rock´N´Roll is King (June 1983) achieves a 13 place in the UK and (20 Aug. 1983) obtains the a 19 place in the United States. 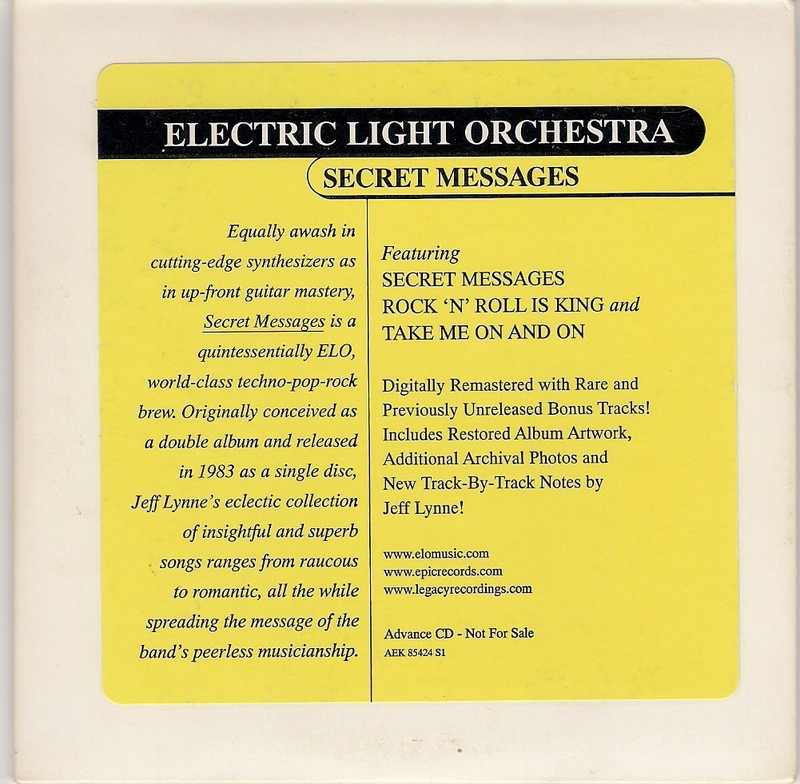 2 single release Secret Messages (Sept. 1983) achieves only a 48 place in the UK. 3 single release Four little diamonds (8 Oct. 1983) achieves only 86 place in the US. This track is the band's last hit in two years! 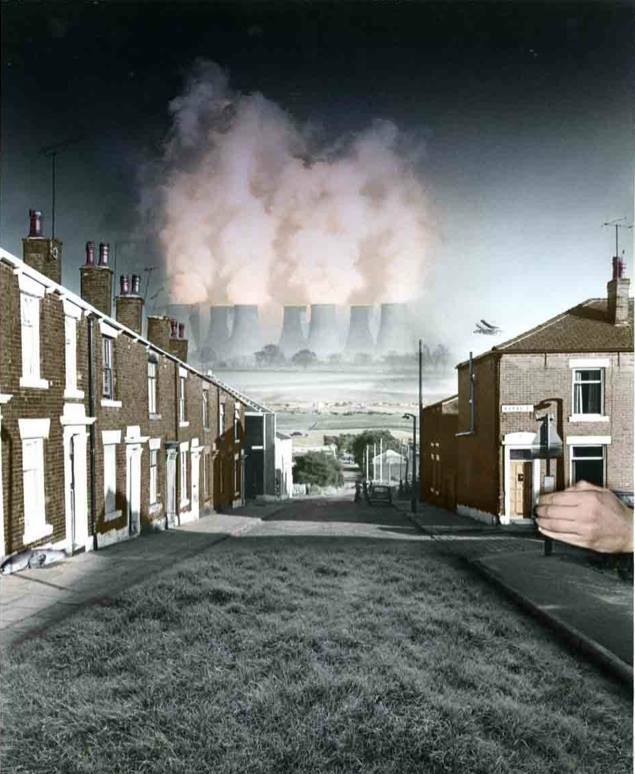 The Secret Messages album cover was built from an original print by Hags Photography called "The Future's A Bit Fishy. We've Got A Hand In It." From this original print, images from various works of art were inserted (covering mot of the grass) and a pair of windows were added. 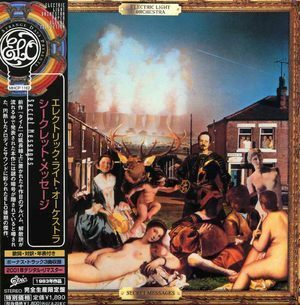 From comparing the print for sale on their website to the ELO album cover, it appears that the print used for the ELO album cover was before the hand and the jets were added to the print (or were removed for the ELO cover).